Monday’s edition of WWE RAW from Montreal, QC at the Bell Centre averaged 2.665 million viewers, down from 2.924 million the previous week. This is also down from the 2018 episode of RAW that featured the Superstar Shakeup, which drew 3.622 million viewers. The episode was expected to drop in viewership as last week’s show was the post-WrestleMania edition. This show was heavily hyped and it being the first night of the Superstar Shakeup for the red brand. This episode finished fifth for the night in total viewers on cable. 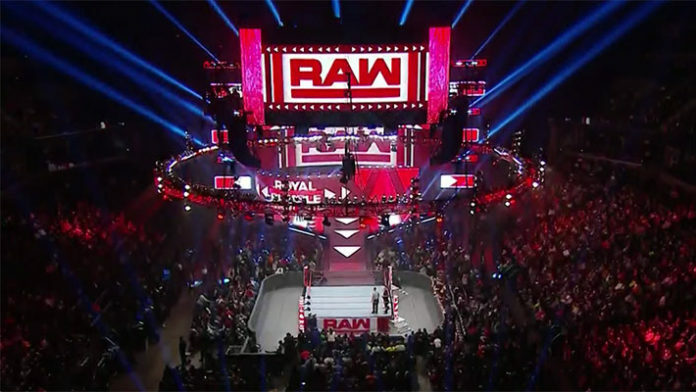 WWE did have to go up against to two NBA Playoff Games – Brooklyn Nets at Philadelphia 76ers and Los Angeles Clippers at Golden State Warriors – that had an impact on RAW’s viewership. RAW featured appearances by Shane & Stephanie McMahon to start off the show. Some of the matches that took place include The Revival (Dash Wilder & Scott Dawson) & The Viking Experience vs. Aleister Black, Curt Hawkins, Ricochet & Zack Ryder, Andrade (w/Zelina Vega) vs. Finn Balor, Bayley & Naomi vs. The IIconics, Becky Lynch vs. Ruby Riott, and AJ Styles, Roman Reigns & Seth Rollins vs. Baron Corbin, Bobby Lashley & Drew McIntyre in the main event. WWE will attempt to rebound with its viewership for RAW next week. In case you missed the show, you can check out the nine takeaways here.